What are the top landmarks in Aldeburgh? Learn more about the local history when you visit Ipswich Waterfront, a well-known historical site in Ipswich. While you're here, you can savour the top-notch restaurants. You can learn about the history of Reydon with a stop at Southwold Beach. While you're in the area, stroll along the beaches. You can get tickets for a performance at Snape Maltings during your stay in Saxmundham. Wander the area's seaside or simply enjoy one of its top-notch restaurants. You can browse the exhibits at Sutton Hoo, a museum with a story of its own, during your travels to Sutton. Visit the spas and top-notch restaurants in this relaxing area. Step back in time and learn more about local history with a stop at Custom House in Ipswich. While you're here, you can savour the top-notch restaurants. 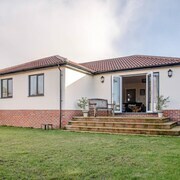 Close to Aldeburgh, Southwold and Snape Maltings for shopping and eating and great walking on the doorstep. Close by to Aldeburgh, Thorpeness, and Southwold. The hotel is in a great position and the sea view from the room which we stayed in is lovely. We had our two dogs with us and they were made to feel very welcome throughout our stay. The hotel has two restaurants. We found the food in the brasserie to be 'ok' but the sea spice Indian was superb. The only minor problem we had was getting parked anywhere near the hotel, mind you, we stayed over the Easter bank holiday so I guess it wouldn't normally be this busy. Overall we'd recommend and would definitely go back. Aldeburgh is a resort town on England’s Suffolk coast, near the river Alde. The town has a rich heritage and a number of historical sites. Aldeburgh is known for its attractive seafront houses, and is also a cultural hub with various annual festivals, including an arts festival, poetry festival, food festivals and a carnival. The town also has a number of good restaurants and various craft galleries. Aldeburgh is noted for its shingle beach, which is one of the cleanest in England. The town is within easy reach of many popular Suffolk attractions. 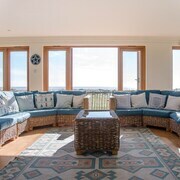 When deciding which Aldeburgh hotel to stay in, you have a number of areas to consider. You can either stay in Aldeburgh itself or in a nearby destination. Aldeburgh has the benefits of a thriving arts scene, a good quality beach and various buildings of historic interest. However, you could also consider nearby Snape Maltings village, which is only six miles away. Snape Maltings is also an important arts hub and even has its own concert hall. Alternatively, for a quirkier destination, you could stay in Thorpeness, a former fishing hamlet that was transformed into a whimsical holiday village in the early 20th century. 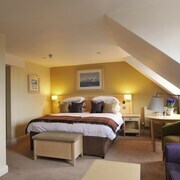 Aldeburgh hotels offer accommodation to suit a range of budgets. 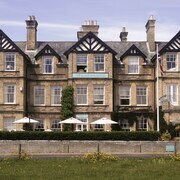 You are spoiled for choice – it’s just a question of deciding which Aldeburgh hotel is right for you. 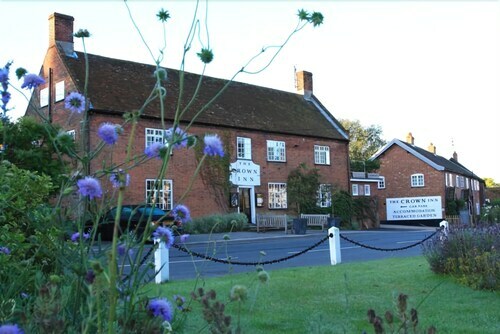 A luxury option is the 4 star Seckford Hall Hotel in nearby Woodbridge, which includes a restaurant, indoor pool and free Wi-Fi. 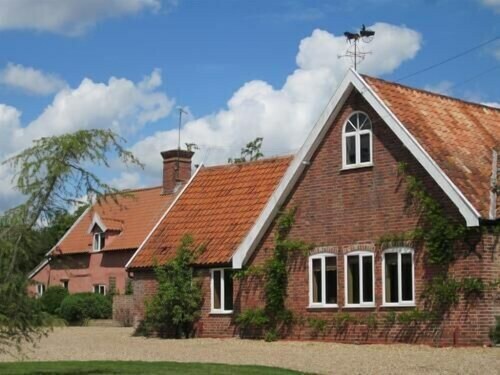 Trustans Barn B&B in Saxmundham is a mid-price choice. 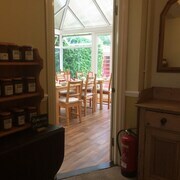 As the name suggests, the B&B is in a converted barn building and includes a garden, free Wi-Fi and TVs with digital channels. A budget option is the Old School House B&B, also in Woodridge, which includes a lounge bar, free self-parking and room service. 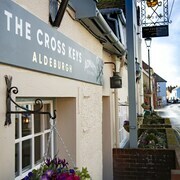 Whatever your budget, you’re bound to find a hotel in Aldeburgh to suit you. When staying in Aldeburgh, it’s pleasant to simply stroll around the town viewing its many interesting sites. One such site is the Aldeburgh Shell, a 15-foot-high scallop beach sculpture, created in honour of the composer Benjamin Britten who once lived in the town. Other attractions include a traditional red and white striped lighthouse, the Martello Tower, a small 19th century fort built to keep Napoleon out, and the ruins of the 14th century Leiston Abbey. The 16th century Moot Hall is a well-preserved, timber-framed building which now houses the Aldeburgh Museum Trust, and both the striking Fort Green Windmill and the Aldeburgh Beach Lookout, a tiny seaside “art temple”, are well worth seeing. It’s also worth visiting Aldeburgh cinema, which has been screening films since 1919. The nearby town of Leiston also has a cinema that dates back to 1914 and is the oldest in Suffolk. The village of Orford is also close by and is the home of the 12th century Orford Castle, which was built by Henry II. A half-mile walk from Aldeburgh is the wonderfully eccentric village of Thorpeness, which has a quieter beach. Thorpeness was originally a tiny fishing hamlet, but was bought in the early 20th century by a wealthy Scottish barrister who transformed it into a fantasy fairytale village. This included building Tudor-style houses and an eccentric water tower known as “The House in the Clouds”. He also installed the Mere, a manmade lake with a Peter Pan theme. It’s also well worth visiting the nearby village of Snape Maltings, which is actually where the annual Aldeburgh Festival is held. Snape Maltings is on the banks of the river Alde and has many interesting restaurants, shops and galleries, plus its own concert hall. Or, for pure relaxation, you could simply take a boat trip up the Alde estuary to spot the wonderful wildlife on the waters and banks. Other Suffolk attractions include the 12th century citadel of Framlingham Castle, Sutton Hoo country manor, which includes an Anglo-Saxon burial site on its grounds, the 18th century Italian-style palace and grounds of Ickworth House and Christchurch Park, which includes a mansion house and museum. Pleasurewood Hills is a 59-acre theme park near to Lowestoft that includes thrill rides such as the Jolly Roger, Wipeout, Cannonball Express, Timber Falls and the Tide Traveller. Africa Alive! is a 100-acre wildlife discovery centre that includes lions, ostriches and rhinos. Whatever you decide to do on your visit to Aldeburgh, you’re bound to enjoy your stay in this pretty, cultured coastal town. Save money on your trip to Aldeburgh by booking your flight and hotel together on Expedia. Explore Aldeburgh with Expedia's Travel Guides to find the best flights, cars, holiday packages and more!